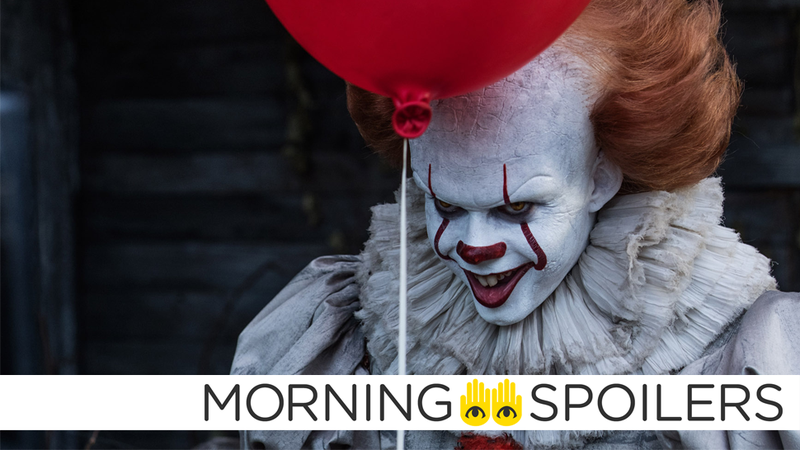 Pennywise faces some grown up competition in It: Chapter 2. Simon Pegg talks about where the Star Trek movies are at. Doom Patrol recruits an Orange is the New Black alumni for its latest team member. Robert Kirkman wants to bring another post-apocalyptic comic book to television. Plus, more rumors about who’s really a killer robot in the new Terminator, and our first look at Outlander’s next season. Spoilers get! A new set photo reunites the Loser’s Club. My, how they’ve grown! Speaking with the Edmonton Journal, Simon Pegg stated he “can’t see” Quentin Tarantino making his near-mythic Star Trek movie in the next six years. I can’t see him doing it for five or six years, by which time we might be too old anyway. Pegg also offered an update on S.J. Clarkson’s relatively more immediate Star Trek 4. I’ve met with S.J. and she’s fizzing with ideas and she has the right attitude. She’s reverent, but she’s not slavish. In terms of the story, I have a vague knowledge, but it’s nothing I can talk about. I’m also doing something that is separate to that. The Suspiria remake runs 152-minutes long, a full hour longer than Argento’s original. An IMAX quarterly SEC filing unearthed by CBR appears to indicate Avengers 4 could hit theaters in April 2019, pretty much one year after Infinity War. TV Line has character posters for The Last Sharknado. Head to the link to see them all! Deadline reports Robert Kirkman has optioned the post-apocalyptic comic book series from Zack Kaplan for series development. Eclipse concerns a deadly solar flare driving the surviving population of Earth deep underground. TNT has also released a TV spot for the final season of The Last Ship. Finally, Claire and Jaime head to North Carolina in the first trailer for Outlander’s fourth season.